Choose this state-of-the-art exposed flat shaped shower pipe as a picture-perfect compliment for your contemporary bathroom. A part of the Jaguar collection, a series that prides itself on its leading-edge, innovative, desirable and premium product range, we can assure you of a high-quality product. Made from the finest material to maximise durability and enhance resilience, we can guarantee you a long-lasting product. In a striking silver chrome finish to help achieve your desired bathroom appearance whilst seamlessly blending your interior together. A flat shape to add luxurious qualities and contemporary principles you are supplied with a world-class shower pipe. Complete with ten-years manufacturers service warranty to ensure a stress-free product. • Exposed Shower Pipe with Provision. 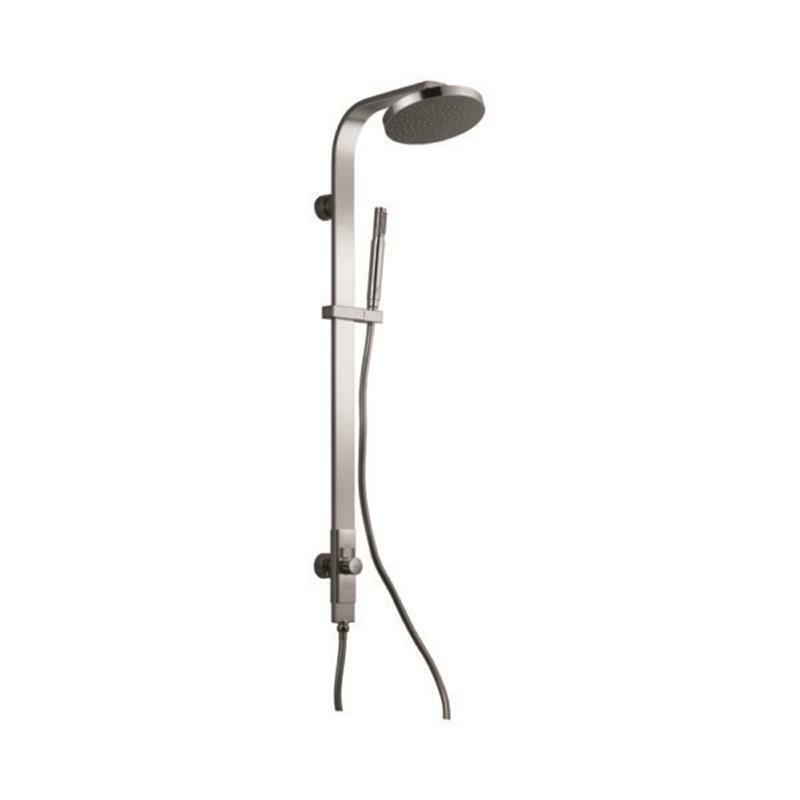 • For Simultaneous Working of Showers with Operating Diverter Knob. • Sliding Holder for Hand Shower. 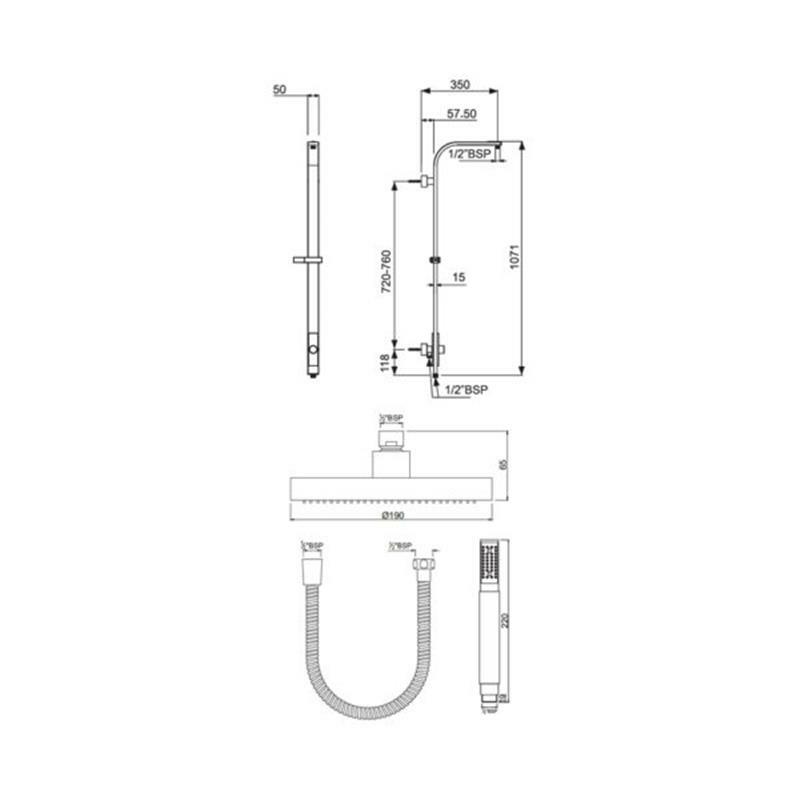 • Wall Bracket Concealed Water Inlet Connection (for connection to Concealed Shower Mixer).